AAA Travel’s guide to road trips has everything you need to plan exciting driving getaways and road trips in North and South Carolina and beyond. We have local and national traffic updates, gas prices, maps and more—all available for free. 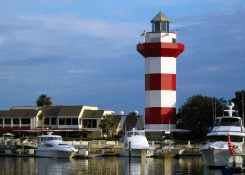 Get dining, lodging and recreation tips for your next road trip from AAA Carolinas. Prepare for your trip by seeing fuel price averages for every stop. The AAA handy Fuel Cost Calculator can help you estimate how much you’ll spend on gas! We’ve also got all the latest news and more. 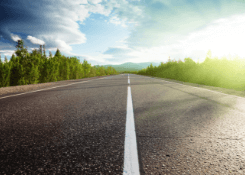 Find the best—and safest—routes for your trip! AAA has partnered with the Federal Highway Administration to bring you up-to-the-minute traffic updates. Build your roadtrip with AAA’s famous Triptiks and tourbooks! You can map your route, gas stops and more using our online route planner and e-tourbooks. Prefer hard-copies? Log in to your account and have them mailed t​o you! Choose from more than 400 U.S., Canada and Mexico maps of metro areas, National Parks, cruise terminals and other key destinations. Wherever you are headed, take AAA Maps along for the drive. The AAA Mobile App can help you navigate your next road trip. An assortment of must-do activities and attractions appear, with enough insider details to allow you to pick and choose what works for you. You can also drive with peace of mind with in-app access to AAA Emergency Roadside Services. Available on iTunes and Google Play. Is your car road-ready for your next drive trip? Make sure your vehicle is road trip-ready. It’s worthwhile to have your mechanic inspect your tires, brakes, battery and windshield wipers to make sure everything is in good working order and prevent on-the-road breakdowns. Visit a AAA Car Care location near you for a free multi-point inspection. AAA Carolinas Members receive additional discounts and benefits. Find your closest AAA Car Care Center now. AAA Carolinas members save on sightseeing adventures and activities. Our travel experts are here to help find the ultimate vacation packages for your time and your budget. Attend a AAA Carolinas Travel event to learn packing pro tips and how to get the most out of your next vacation. Get tips and ideas from AAA Carolinas Travel for trips on the open road, from day trips to cross country road tours. Tell us where you want to go and we’ll give you an estimate.